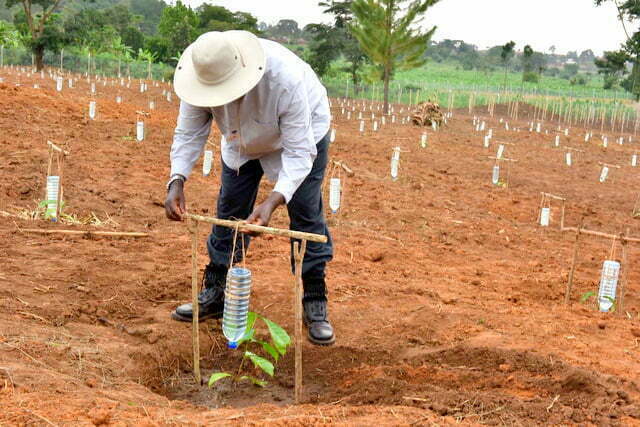 HomeMediaPresident Museveni demonstrating drip irrigation at the Kityerela Presidential Demo Farm, Mayuge. President Museveni demonstrating drip irrigation at the Kityerela Presidential Demo Farm, Mayuge. President Museveni demonstrating drip irrigation at the Kityerela Presidential Demo Farm, Mayuge. Courtesy Photo.